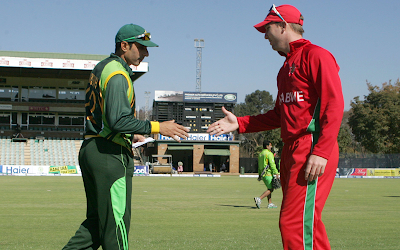 For the first time after 15 years, Zimbabwe won a match against Pakistan. 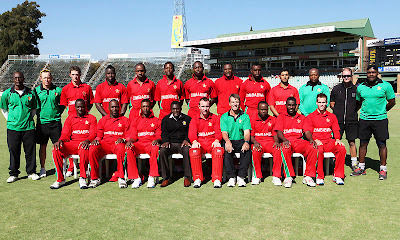 In yesterday match Zimbabwe made a record of winning a match against Pakistan after 15 years. In the Pakistan tour of Zimbabwe, 2 twenty20 matches, 3 ODI matches and 2 Test matches was scheduled. Pakistan had won both the T20 matches. Yesterday, 1st ODI match has been held and there Zimbabwe marks the record of winning a match against Pakistan after 15 years. 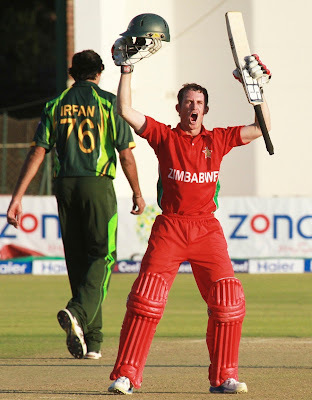 Zimbabwe won the match the match by seven wickets and 10 balls remaining. Pakistan won the toss and elected to bat first. Misbah-ul-Haq has elected to bat first. The openers gave a standard start. Finally Pakistan scored 244/7 in 50 overs. Mohammed Hafeez played an wonderful Innings. Misbah-Ul-Haq played a captain's knock with 83 not out which covers 3 fours and 2 sixes. Hafeez made 70 runs with 6 fours and 3 sixes. In bowling Chatara and Vitori had taken 2 wickets and Utseya 1 wicket. Chatara also proved to be Economy bowler by giving 32 runs for 10 overs whereas Vitori with 42 runs for 10 overs and Utseya with 60 for 10 overs. Next, Zimbabwe enters the ground with the target of 245. Hamilton Masakadza and Vusi Sibanda were the openers. The openers gave a wonderful start for Zimbabwe. The stood till the opening partnership of 107. Masakadza played a wonderful knock of 85 with 9 fours and 1 six. As the next batsman captain Taylor enters the pitch and proved to be a best captain. As Pakistan, Zimbabwe captain too stood not out till the end of the match with 43 runs. Finally at 48.2 overs, Zimbabwe won the match with seven wickets and 10 balls remaining. Sean Williams had been gifted with the chance of finishing the match off in style. At 48.2 overs, Sean Williams gave a huge knock and that finishes the match with the SIX. Zimbabwe won the match against Pakistan after 15 years. Zimbabwe scored 246/3 in 48.2 overs. Former Pakistan players were disappointed with their performance in both batting and in bowling. Pakistan players were shocked at the Zimbabwe's win. Zimbabwe leads the 3 ODI series with 1-0. Hamilton Masakadza won the Man-of-the-Match award for his wonderful knock of 85. 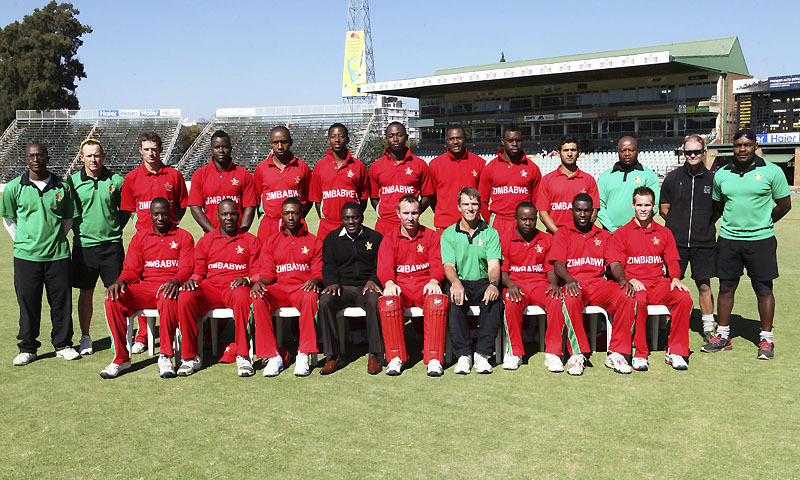 Brendan Taylor (capt), Hamilton Masakadza, Vusi Sibanda, Timycen Maruma, Sean Williams, Malcolm Waller, Elton Chigumbura, Prosper Utseya, Tinashe Panyangara, Tendai Chatara, Brian Vitori.